The police continue to appeal for anyone who may have seen a group of men travelling on 2 – 3 motorcycles in the Curving Avenue/Happy Valley Road Pembroke area between 8:50pm & 9:10pm on Wednesday [Jan 23] to come forward. Haile Outerbridge and Ricco Furbert were fatally wounded in a shooting that took place at the Belvin’s Variety Store on Happy Valley Road on Wednesday. The gunman, believed to be traveling with a group of 2 to 3 other motorcycles, chased the victims into the back of the store and opened fire. 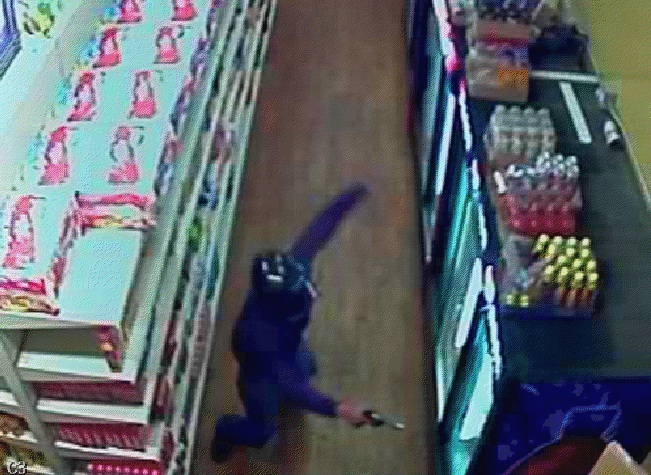 The police released three CCTV images of the gunman, hoping it would help in obtaining an identification. Yesterday [Jan 24] afternoon the police arrested a 21-year-old Sandys parish man in connection with the incident, and they confirmed he is still in custody as of this morning. The 21 year old Sandys parish man arrested at 4pm Thursday, January 24th in connection with the murder of Haile Outerbridge and Ricco Furbert at Belvin’s Variety in Pembroke remains in police custody pending further enquiries. Detectives continue to appeal for anyone who was in the Curving Avenue, Happy Valley Road Pembroke area between 8:50pm & 9:10pm Wednesday, January 23rd that may have seen a group of men travelling on 2 – 3 motorcycles. These motorcyclists would have travelled from Curving Avenue onto Happy Valley Road, and following the fatal shooting around 9:04pm, travelled east along Happy Valley Road in the direction of Shelton Road, Deepdale, or Montpelier Road. Anyone with any information is encouraged to contact the Serious Crime Unit on 247-1739 & 247-1340 or the confidential & independent Crime Stoppers hotline on 800-8477. Doesn’t this person also look like the man/woman that was involved in the disturbance at Serpentine Liquors a while ago? Kinda petite and wearing a blue-ish purplish rain suit? Definitely similar to the incident at Woody’s – for sure. QUESTION – WE HAVE “EXPATS’ WORKING IN INSURANCE, CONSTRUCTION, HOTELS…ETC…WHY CAN’T WE HIRE SOME “SEASONED” COPS FROM THE US THAT HAVE EXPERIENCE WITH MURDER CASES!!! IM CONFUSED!!!!!!!!!!!!!!!!! Because that would be a complete waste of money. Use your head. There is no problem with the BPS making arrests or presenting evidence. The problem is no witnesses will come forward and help to pin charges on the suspected murderers. PEACE will come… but not today. Jail time in Bermuda should be made such that would be offenders think twice before taking a life! Send them to a jail in a third world country! I know for a fact the police have another name cause the fool was out n about last night come police.